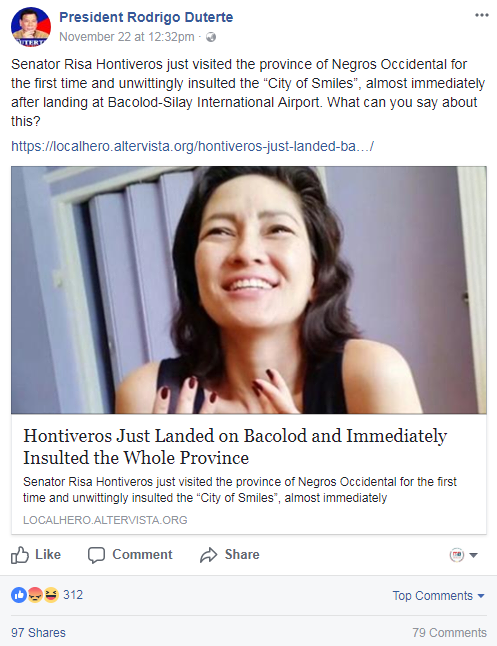 Senator Risa Hontiveros allegedly insulted the people of Bacolod right after landing in the province to attend some leftist organizations’ early Christmas party. 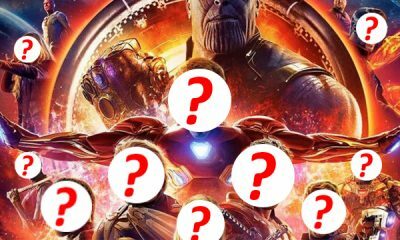 The story that caught the attention of quite a few netizens on Facebook was published by localhero.altervista.org. 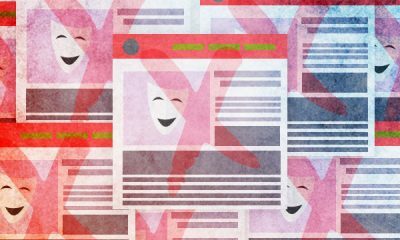 However, we also found it on Okd2.com, which categorized the November 22 story as “satire.” The former blog has a history of copying its content from Okd2.com, though, which meant that the story could have been fully intended to become satire by Okd2. 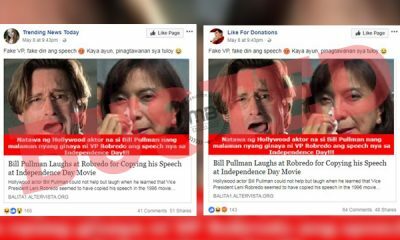 Hontiveros allegedly attended the combined Christmas party of the Kilusang Mayo Uno (KMU) and Gabriela-Negros to serve as the event’s guest speaker. 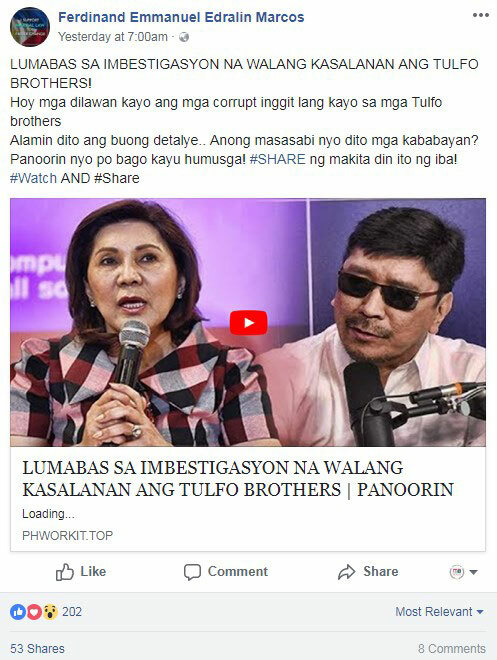 But on her way from the airport, the senator was said to have wondered why she did not see any big houses along the way. Okd2 wrote that the idiom from Negros should not be taken seriously and noted that Hontiveros interpreted it the wrong way, insulting the locals in the process. 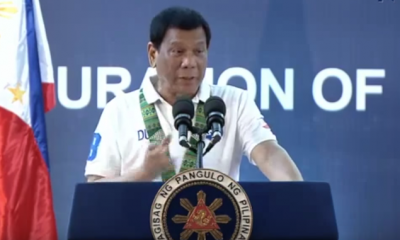 It also explained the specific location and immediate surroundings of the Bacolod-Silay International Airport, which was in the middle of what used to be a sugarcane field. 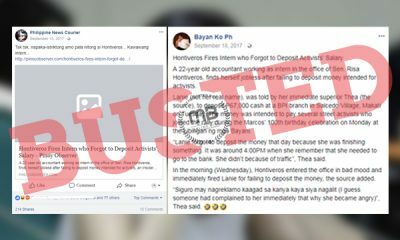 She allegedly took a route where big houses cannot be expected because it passes through a sugarcane plantation. 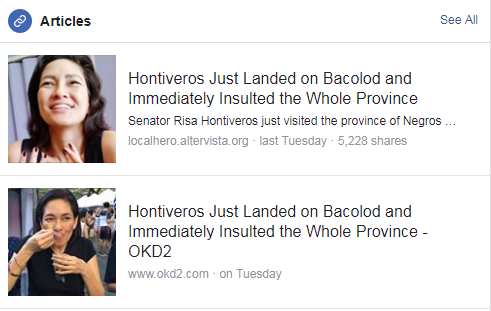 The Okd2 article also seemed to slam the senator by writing that she should not have looked for “big houses” when she was headed to an event headed by a “poor group.” It also called Hontiveros’ alleged comment “ignorant,” considering how Bacolod has consistently ranked as one of the best cities to live in in the Philippines. 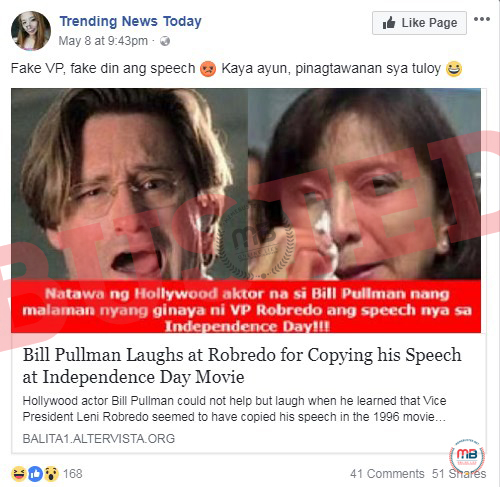 However, as mentioned before, Okd2 made out the story to be satirical, which meant its claims should not be taken seriously. 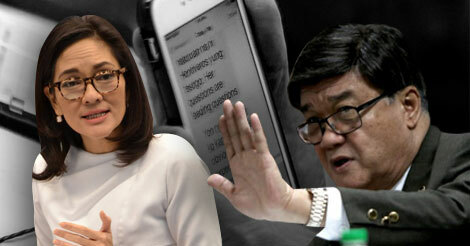 One netizen noted how Hontiveros, as a member of Akbayan, will likely not be invited to an event by Gabriela and KMU. 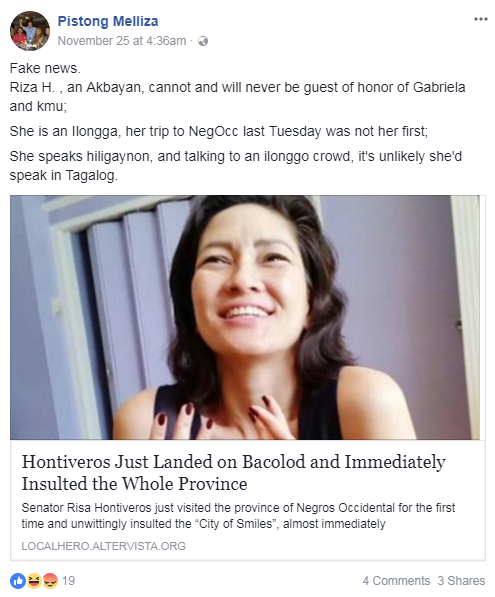 Another fictional bit in the satirical article is its claim that it was Hontiveros’ first time to visit Negros Occidental. 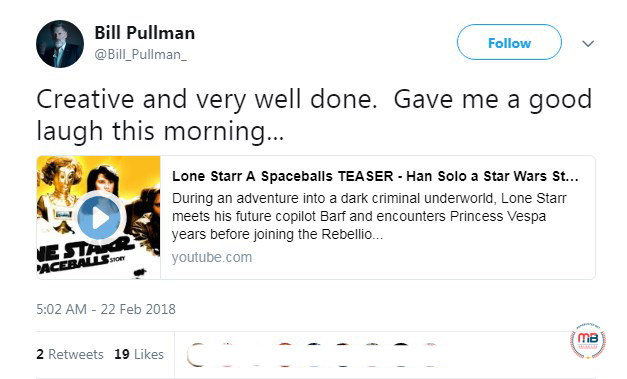 You can see it right in the first sentence of the story. 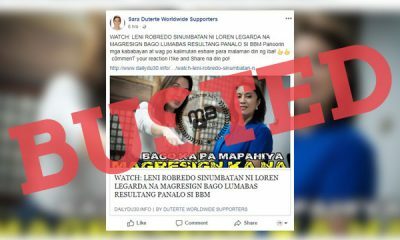 This is not true and one concrete proof that we found is this video posted by the senator’s official Facebook page about her visit to Bacolod City back in September 2016 to distribute anti-Zika packets. 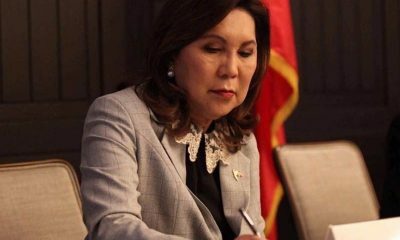 You can hear her speaking Hiligaynon in the first part of her speech before she switched to Tagalog. 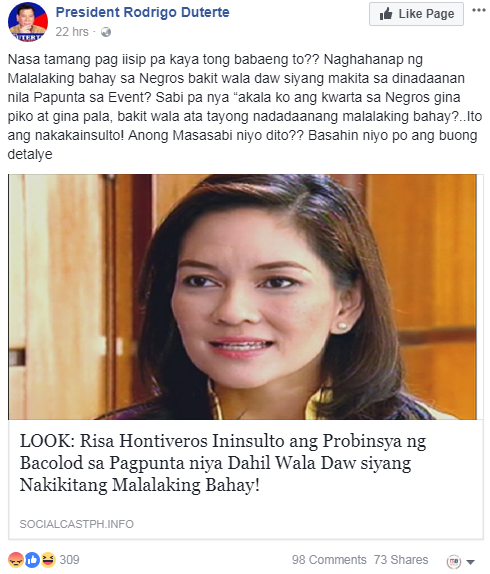 In an interview once, Hontiveros noted that she is an Ilonggo. 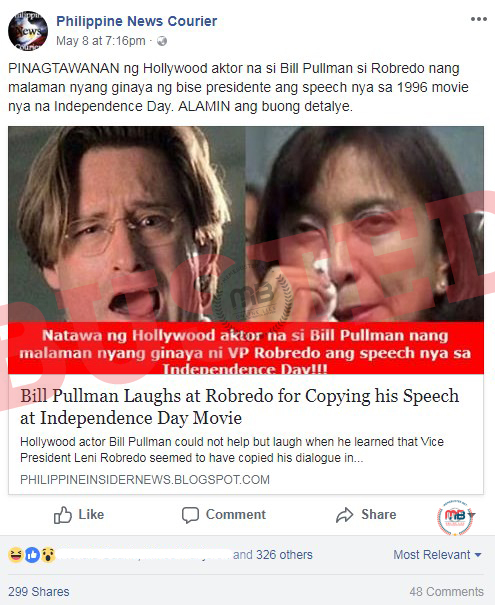 Despite the huge “satirical” tag of the story from Okd2, the story was still shared and reacted on as though it was 100% true. 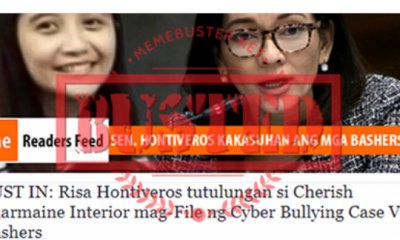 Reacting to the spread of the story online, Hontiveros debunked the story. “Fake news na naman. 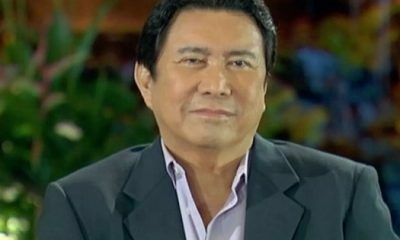 Daming time. 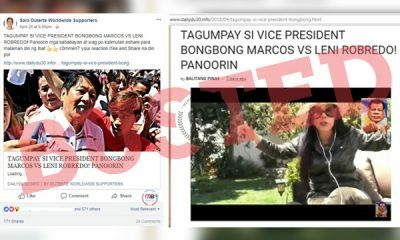 Waay pa ko gani kabalik sa Bacolod subong nga tuig. 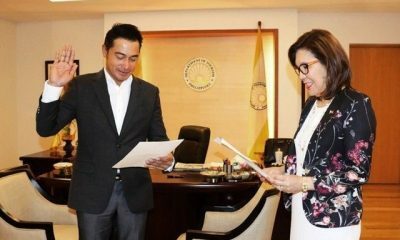 Amo na nga hidlaw na guid ko sa inyo chicken inasal,” Hontiveros wrote. 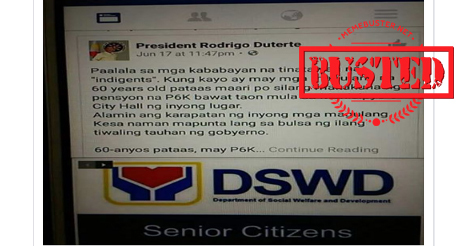 Attached to the post a screenshot of a Facebook post by “Philippine News Courier” sharing the Okd2 story. 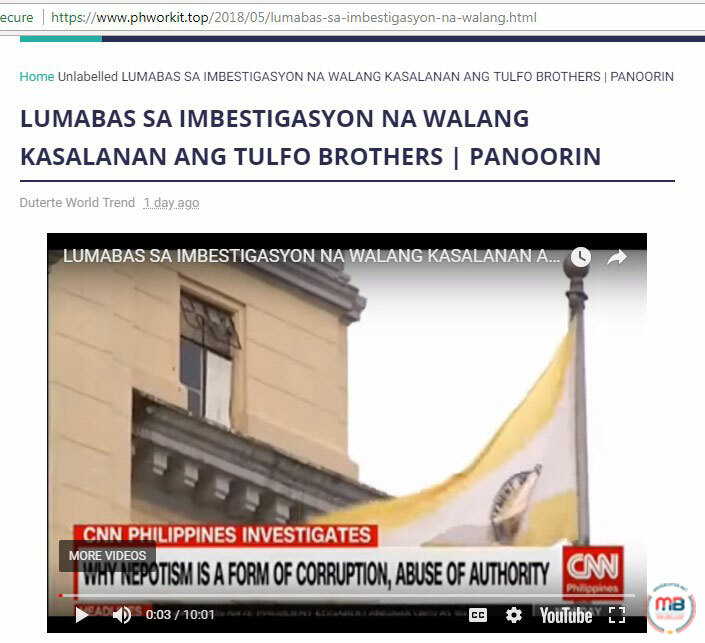 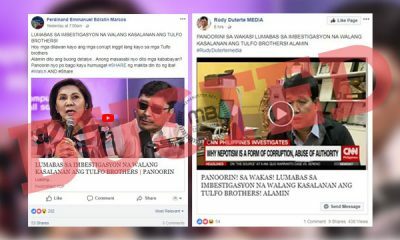 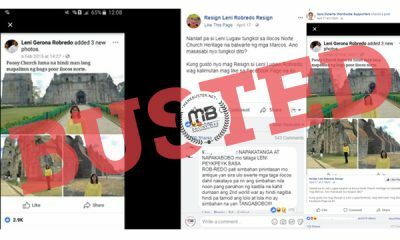 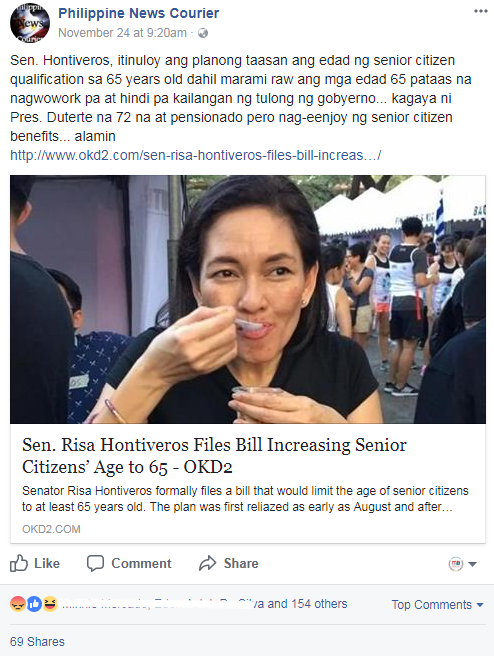 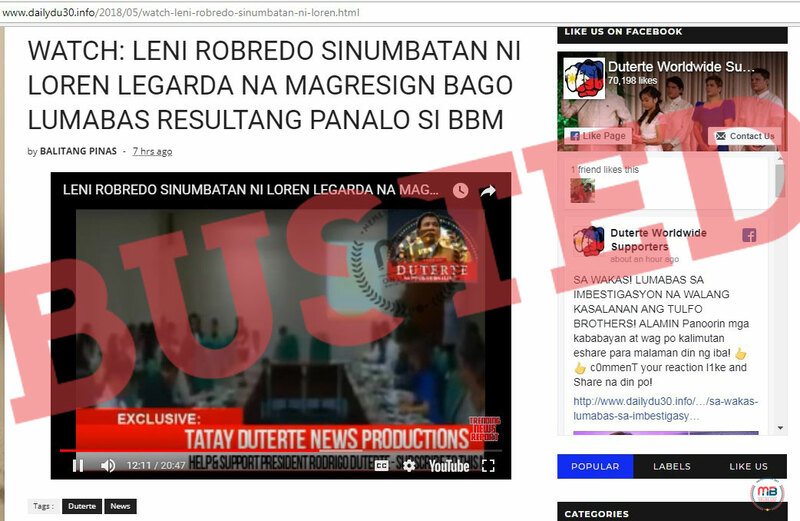 This is the same Facebook page that shared another Okd2 story about Hontiveros increasing the qualifying age for senior citizens to 65, which is another fictional story that we’ve debunked in the past. 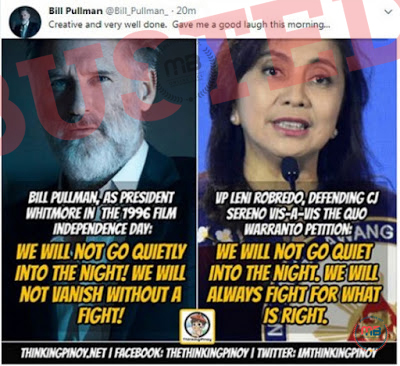 There have been several fake stories about Hontiveros that we’ve busted, such as those claiming that she wanted to probe the overkill allegations in the death of terrorists Maute and Hapilon, walked out of the Senate hearing on fake news, wanted to build a statue for slain teenager Kian delos Santos, said kidnapping is not bad as long as victim is left unharmed, called CPP founder Joma Sison a true hero, held up a #PrayForMaute sign, called Maute terrorists ‘epitome of courage and resilience,’ and more. 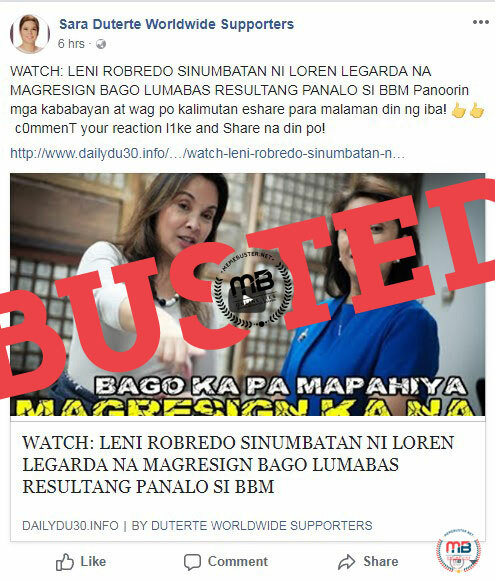 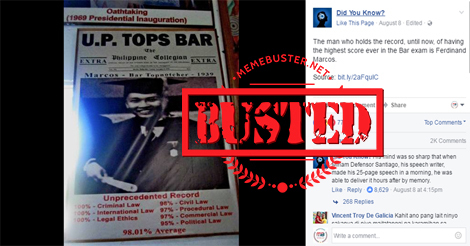 Busted: Marcos will become VP in 2018? 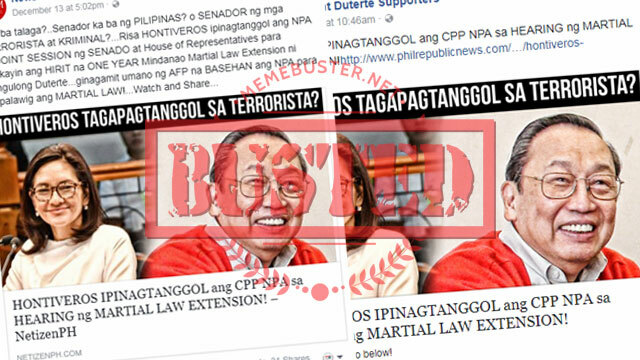 But PET has not yet decided on electoral protest!